✻ P O L I S H E D S T O N E P I L L O W S ✻ BLUE ARAGONITE. 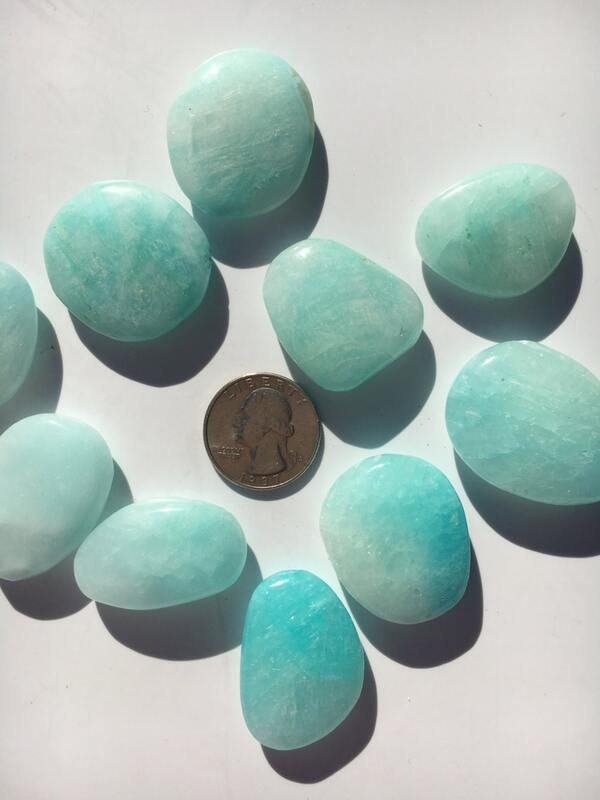 Blue Aragonite aids in concentration and communication. Helps with meditation. Improves emotional perspective and healing. Helps to speak and think compassionately and to heal from verbal abuse. Assists fear or speaking and sharing one's ideas. C h a k r a s: 4th (Heart), 5th (Throat), and 6th (Third Eye).